The stunning moves towards peace on the Korean Peninsula have generated the Nobel buzz. Resolving the almost seven-decade division — one of the last major vestiges of the Cold War — would be an epochal international event. South Korea’s former president Kim Dae Jung was awarded the peace prize in 2000 for simply beginning the process of détente with North Korea. Now, the historic summit between South Korean President Moon Jae-in and North Korean leader Kim Jong Un alone has the makings of a peace prize-worthy effort, because it effectively ended a war that had been frozen since the 1950s. But President Moon went out of his way to give credit to Trump for setting the stage for the meeting. 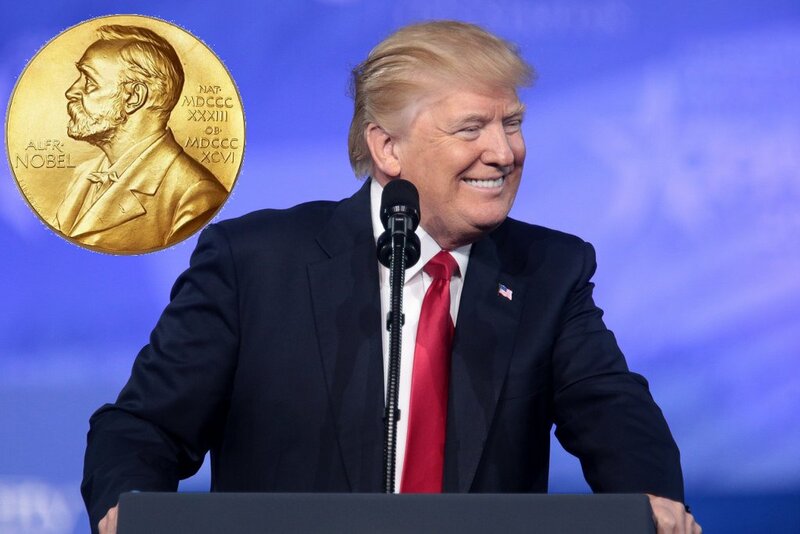 “President Trump should win the Nobel Peace Prize. All we need is to bring peace,” Moon said, according to the Blue House, Seoul’s equivalent of the White House.